Festivals and regular live music sessions. 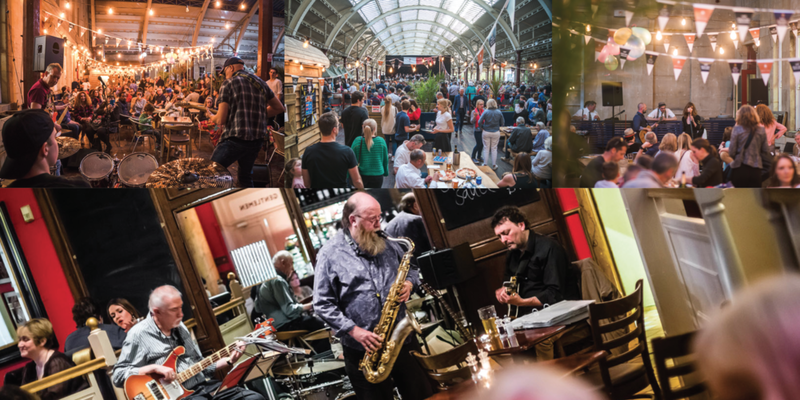 From seasoned pros to break-through artists, this summer we’ll welcome the South West's finest musicians to play under our vaulted Victorian roof here at Green Park Station. During our spring and summer season we brought some of Bath and Bristol's most talented musicians to play our alfresco live sets. From vocalists, acoustic guitarists and pop rock groups to soulful sax and bass trios we'll be doing it all again next year. Soulful vocalist and guitarist, Isobel Holly makes her Bath Pizza Co debut. Holly broke onto the scene through BBC Introducing in the West in recent years. Kinsman has played on some of Kasabian's tracks and at V Festival. Bringing a Sax, Guitar and Vocals trio to Bath Pizza Co, the trio played our Great Bath Feast event in September 2017. At home on keys, violin and singing, Bristol's Rebecca Shelley will be filling Green Park Station with smooth acoustic sounds. Specialising in indie-rock with surf rock and folk rock influences; Diego Misasi's covers include Elvis Presley, Johnny Cash, Dean Maritn and The Beatles. The Dutch jazz singer-songwriter, is joined by pianist Jonni Slater at Bath Pizza Co. Featured on BBC Radio 6 and Siegerist is known across Bath playing the Bath Fringe, The Egg and Brook Street Festival. Acoustic singer/songwriter, Drew plays easy listening, reggae, soul and popular music. Inspired by the likes of Bob Marley, Jack Johnson and Amos Lee, Drew is another debutant at Bath Pizza Co.
We'll be running our pizza and a pint or prosecco offer as well as our other deals and food from our pizza menu. Live music in Bath, 4 nights a week at our sister business, Green Park Brasserie.